Rothwell Bros Agri Contracts has earned itself a first class reputation amongst its clients through three generations of excellent service. Irish Tractor & Agri heard more from William Rothwell about the Co Wexford-based agricultural contracting firm. 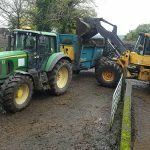 These are busy times for William and Graham Rothwell down in Bunclody in Co Wexford and the plan is to keep things that way as their agri company gets set to embark on another year. 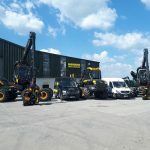 Indeed Rothwell Bros Agri Contracts has grown over the past decade or so since the two brothers took the reins of their father’s business, renamed it and became agents for ground Limestone. Today this third generation family-run company offers its clients all types offagricultural contracting services and its well-established reputation for providing excellent work time and time again is what sees them as busy as ever down in Bunclody. William was good enough to take time from the hectic schedule to fill Irish Tractor & Agri in on the business recently. “We’re in The Paddock, Bunclody, Co Wexford and it’s a family-run company that’s going for three generations now,” he outlined. “Our father, George, took over and expanded the business and then in 2007 we took it over and have been running things ever since. Old habits die hard for a man like George Rothwell who has spent his entire working life immersed in a business that he’s proud to now see his two sons running. 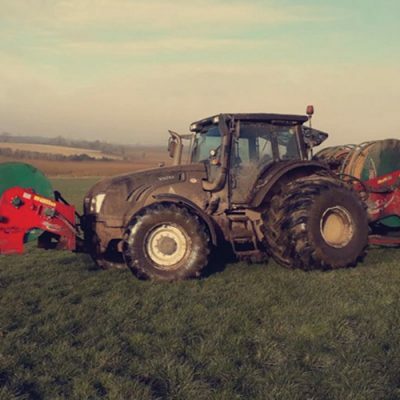 The Rothwell name is well-known in and around the south east for its efficiency and reliability in the agri contracting game and George can take his fair share of credit for that, having taken over the business from his father and run it successfully for decades. He’s also still operating a farm himself at the ripe age of 74, as his son William explained. “My father has three New Holland tractors on his farm as well and there’d be 150 acres on that farm, so he’s still keeping busy,” he stated. It seems George doesn’t know how to do anything else but “keep busy” and his sons have followed right in his footsteps. It was another busy summer for the company in 2018, while with regards to Limestone the Rothwells continue to have a tremendous working relationship with Kilcarrig Quarries in Bagenalstown, Co Carlow. 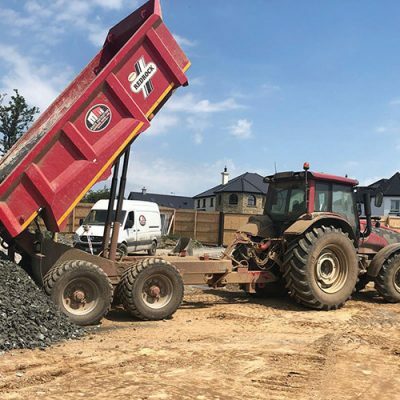 The Rothwell family have been working with Kilcarrig Quarries “for 20 years now”, according to William, and the two parties have built up a huge amount of trust between each other off the back of excellent work. Kilcarrig Quarries are known for producing superior ground limestone products which cater for all soil types. 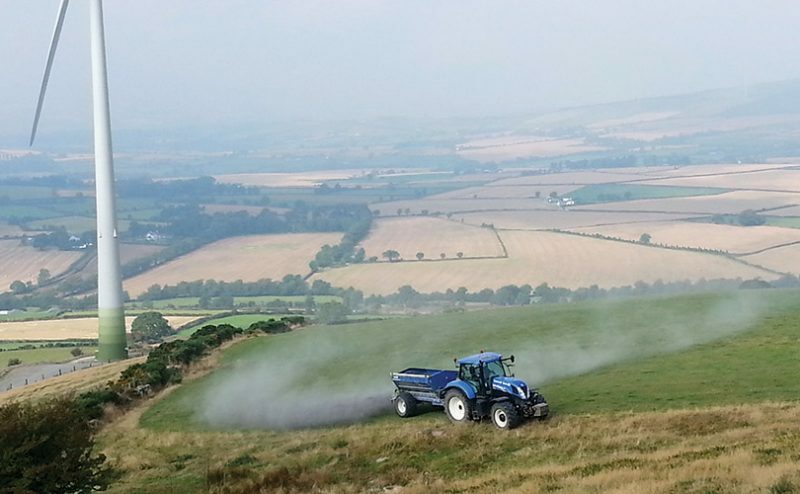 They are one of the few producers of Department of Agricultural approved Gro-Lime in the Leinster area who can offer an option of either High Magnesiun or High Calcium Lime. They also offer collection and delivery or delivered and spread in the greater Leinster area. Both Limes have a High T.N.V and are a cost effective solution to improving your soil condition. For William, there is no better solution less cost-effective for farmers that are looking to improve on soil condition. “The country is getting low in limestone and farmers needed to be testing. There’s not enough going out that should be and it’s very good value all things considered,” he said. 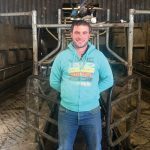 Speaking of good value, the Rothwells tend to go with New Holland when it comes to their tractor fleet with Foster Tractors in Arklow, Co Wicklow their chief provider. The family have had a superb working relationship with William Foster for years and, as William Rothwell outlined, they may be looking at adding to the fleet again in 2019. “We run a fleet of New Holland tractors here,” he said. 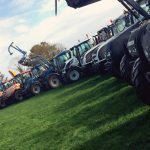 “We had Fendts here but stuck with the New Hollands for their reliability and also the fact that there are a lot of good New Holland dealers around us. 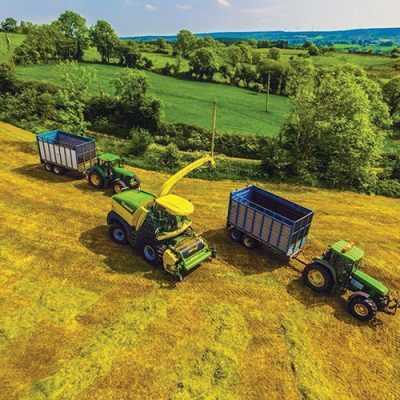 “William Foster in Arklow would be one of the men we deal with and we just find that the machines themselves are good value for money and reliable. Perhaps the Rothwells should be content with where they’re at business-wise overall at the minute, but those that know William, Graham and George will know that that’s unlikely to happen. Striving to get better with each passing year has brought the company to where it’s at and, going on form, they’ll most likely have grown in numbers as well as fleet size 12 months from now.